Like most schools, High Tech High in San Diego is under an enormous burden to submit transcripts and other forms to colleges as its seniors navigate the application process each year. And prior to 2009, like most schools, the counseling office relied on the only method it had: mailing paper packets filled with transcripts, school profiles, and teacher recommendations, followed by a second or third round of transcripts, translating into countless hours of staff time and thousands of dollars in postage and supplies. 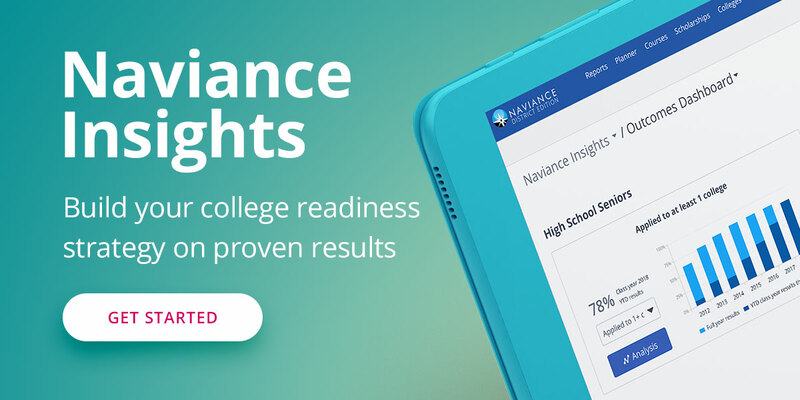 Since 2009, however, Chris White, Director of College Counseling, says that Naviance eDocs has transformed the process of sending electronic transcripts and letters of recommendation, and all but done away with mailing paper forms at his school. Now, it’s as simple as ‘upload and send’. But the benefits for White go beyond cost savings and simplicity. For him, it comes down to more time for students, and, crucially, the ability to prove that transcripts and forms were submitted, and when they were sent. When ‘missing items requests’ come back from colleges, or fretful parents call his office asking about documents that the colleges can’t find, White can now demonstrate to both parties that the documents were submitted, and immediately show a record to prove it. This usually means quick resolution for what used to be many anxious hours or days, not to mention suspicious parents wondering if those documents were ever sent in the first place. Naviance eDocs makes it possible, providing electronic document delivery to over 1,700 colleges. And as a document management system, counselors can keep track of what forms have been sent and which have been received. Students can also message teachers when they need a recommendation, and teachers can easily upload and send the form. White is thrilled at how this has cut down on the need to train and re-train students on how to obtain teacher recommendations, a persistently difficult concept for many high school seniors! With the time he saves every year on this process, White says one of the most rewarding results is that he is now able to proactively target the “middle third” of his students, a group that is traditionally underserved next to high performing standouts and those with special needs. Being able to target those students and provide them with extra encouragement, says White, is the best part of the whole story. Naviance eDocs: Electronic Transcripts and Letters of Recommendation from Hobsons on Vimeo.